Coloured contact lenses can create a variety of looks on the eye. They range from being very subtle whereby they just enhance the natural eye colour, to creating very dramatic eye colour changes or even designs for a special occasion like halloween or a fancy dress party. Working in practice I often get asked about coloured contact lenses and it´s a topic that I feel strongly about. In recent years there has been an improvement in the quality of certain coloured lenses. However, the majority sold online and in some shops which are labelled as a ‘cosmetic’ product are not licensed and quite frankly, dangerous. 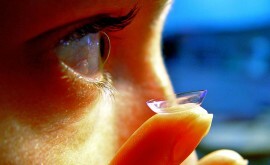 The sale of non-corrective contact lenses is governed by section 27 of the Opticians Act 1989. This states that ‘non-corrective contact lenses can be sold only by, or under the personal supervision of, a registered medical practitioner, registered optometrist or registered dispensing optician’. This means that to order contact lenses online you must have been fitted with the exact lens that you choose to order. Believe me, this in your best interest. The eye is a very sensitive organ and not an area which can be dabbled with. When we fit a contact lens we examine the complete anterior surface of the eye including your eyelashes, lid glands, corneal shape and tear film. This ensures that your eye is able to tolerate a contact lens. Incorrectly fitted contact lenses can cause sight threatening reactions. 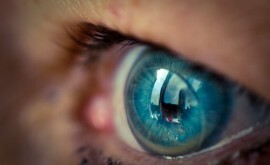 Coloured contact lenses are available as prescription or non prescription (known as plano) lenses. Prescription lenses correct both long sightedness (hyperopia) and short sightedness (myopia). Plano coloured lenses are purely used for cosmetic purposes. Visability Tint – This tint doesn’t affect your eye colour but is usually put on a lens to allow you to see the lens more clearly when inserting it in your eye. It is especially useful if you are long sighted and struggle to see the lens on your finger. It is also easier to spot in your lens case or if you drop it! Enhancement Tint – This tint has a solid tint that is see-through which allows the eye colour change to be subtle, enhancing your natural eye colour. If you have light eyes, this is particularly effective. Opaque Tint – This tint is solid and non transparent. This changes your eye colour even if you have very dark eyes. 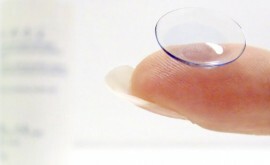 Lenses with this tint are also very good as cosmetic lenses following eye trauma. However, lenses with this tint are more widely known as ‘novelty lenses’ and are used for fancy dress, halloween and theatrical purposes. These lenses are semi-transparent and so give a more natural appearance. They are cleverly designed in a variety of ways. For example, they can camouflage any abnormalities from trauma or congenital defects and can be made to make the eyes look equal in colour and appearance. These lenses are also more commonly being made with a ‘sports tint’ which claims to enhance visual performance when playing sport. You are legally required to have a prescription in order to buy coloured contact lenses. If you don’t need visual correction and only want lenses for cosmetic purposes, you still need a prescription from an Optometrist which says ‘plano’. Manufacturers that sell licensed prescription and non prescription coloured contact lenses include Johnson and Johnson, Alcon/CIBA, Cooper Vision and Bausch and Lomb. There are other European companies but these are the main manufacturers that UK Optometrists would use. It is possible to order lenses online but be aware of sites that do not require a prescription, this is illegal. Avoid buying lenses from beauty stores, halloween shops or boutiques. severe dryness – a red, irritated eye and feels as if there is something in the eye or soreness when closing and opening the eye. corneal abrasions – this a scratch on the cornea and can be very painful and causes redness and sensitivity to light. corneal ulcers – this is a sore on the cornea which is extremely painful and dangerous as can be sight threatening if not treated. severe bacterial infections – a very sticky, sore, red eye and if the cornea becomes involved it may be sight threatening. The above conditions can be extremely uncomfortable or painful and can occur even after a short period of contact lens wear. In addition to properly fitting lenses, hygiene is very important. 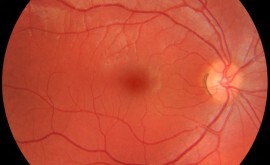 Ensure your hands are clean on insertion and removal of the lens and whenever you are handling them. NEVER allow water to come into contact with your lenses. Daily disposable lenses are the most hygienic because they are thrown away after use but if you have reusable lenses, never rinse your case with water – always use saline or contact lens multi purpose solution. Never sleep, swim or shower in your contact lenses. Your Optometrist will teach you how to care for and clean your lenses. Coloured colour lenses are forever evolving and are becoming much more comfortable and safe. However, many unlicensed types are available and it is important that you as a patient are aware of the potential risks involved. Coloured lenses can be enjoyed safely if they are fitted by a qualified Optometrist and better still, the best type, colour and design can be tailor-made for you!